Quite possibly the most popular dish in Thailand, Pad Thai is a delicious rich noodle dish stir fried to perfection with a medley of fresh vegetables and seafood. The dish is usually topped off with garnishes such as red chili peppers, shallots, palm sugar, lime and peanuts. 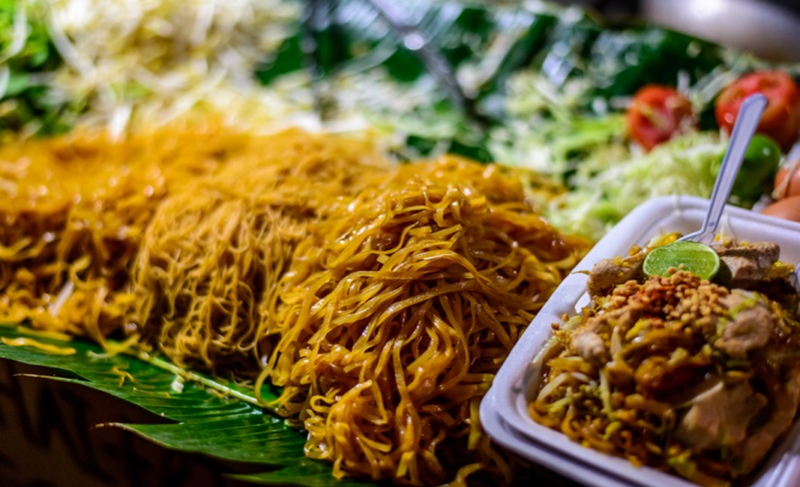 Pad Thai can be found anywhere in Thailand from fancy restaurants to roadside stalls. Wholesome and delicious you can never go wrong with a good plate of Pad Thai in Thailand. 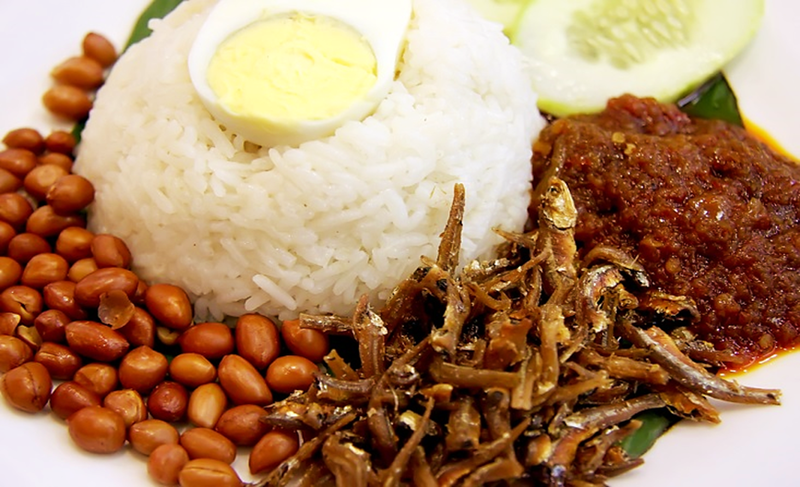 The undisputed best Malaysian creation ever, Nasi Lemak is one of the most versatile dishes in the country. Fragrant rice cooked in a rich concoction of coconut milk and pandan leaves, served with a sweet and savoury sambal (a shrimp based chilli paste) paired with an array of side dishes ranging from peanuts to fried anchovies. You can have Nasi Lemak for any meal of the day, be it breakfast, dinner or even if it’s just for a snack. This is definitely a must-try dish in Malaysia. Comfort food at its best Pho (pronounced ‘Fuh’) is a hearty bowl of linguine shaped rice noodles laces with a light savory broth made from beef or chicken stock. 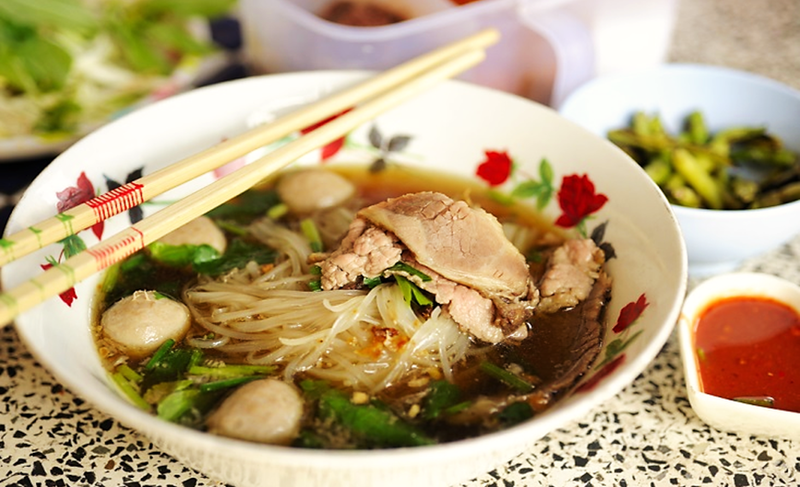 Pho is usually served with a selection of meat cuts from tripe, thinly sliced steak to fatty briskets. If that hasn’t got you salivating yet we don’t know what will. You can opt for a more upscale rendition of this Vietnamese staple in any 5 star restaurants in the country or for a more authentic experience there is no shortage of food stalls and roadside vendor lining the streets of Vietnam. Slimy, slippery and delicious? Many have had their doubts about this unusual combination of frog and porridge, but don’t write it off yet before giving it a try. 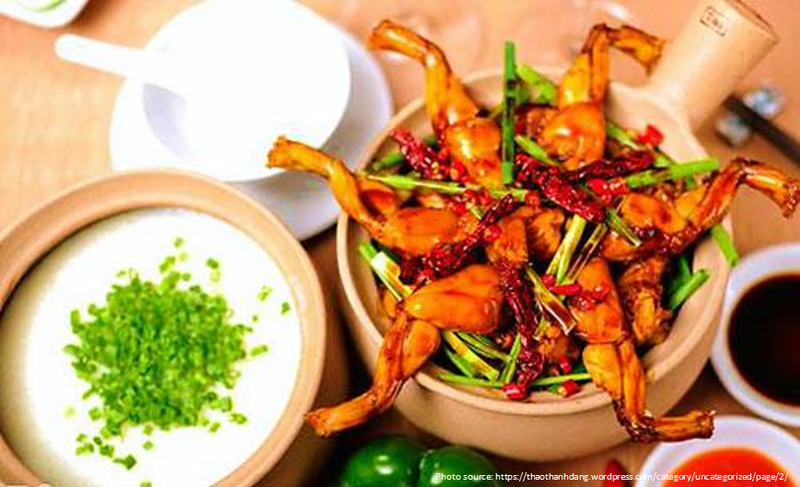 Truly an unforgettable dish in Singapore, frog porridge has slowly become a favorite amongst locals and travelers alike. Restaurants and hawkers that sell this local delicacy are opened until the wee hours of the morning, so if you are looking to fill your belly after a night out on the town why not try a hot steaming bowl of frog porridge, after all some say it tastes like chicken. 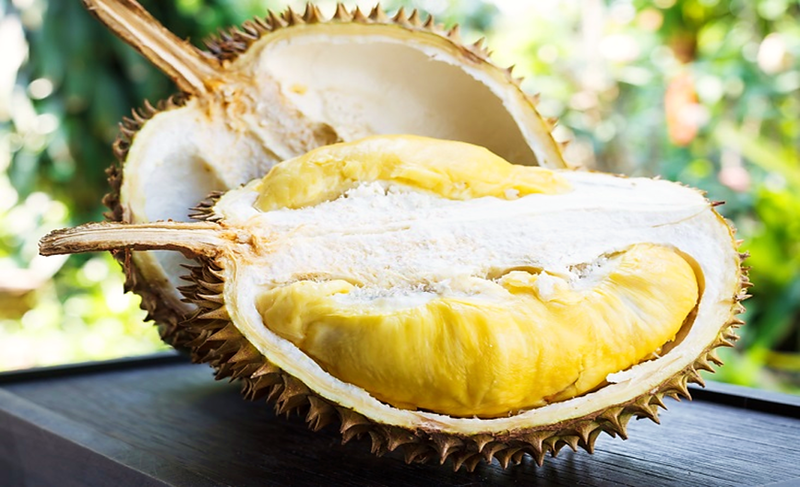 Known as the king of fruits, Durian is certainly an acquired taste. Those who have tried it either loved it or hated it, there’s no other way around it but one thing is for sure there is no ignoring the king of fruits (well mostly because of its pungent smell). The Durian has a soft custard-like consistency, leaving a velvety feeling in your mouth. It’s hard to describe what the Durian taste like, the only way to know if to try it for yourself. So be adventurous! 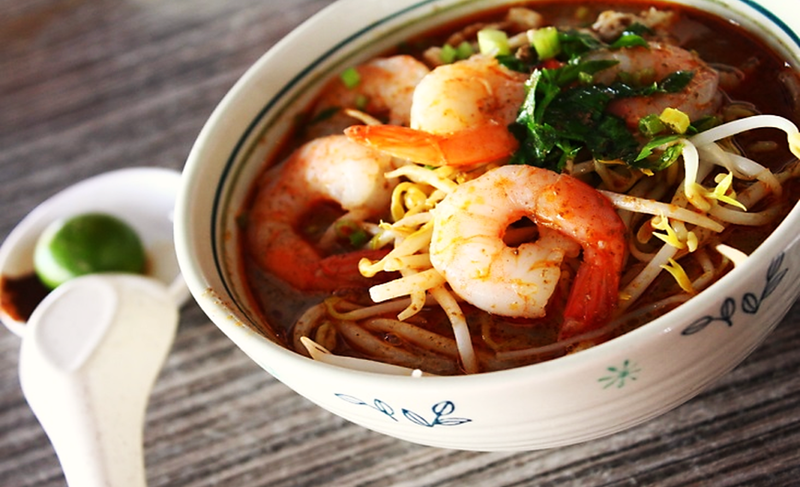 A renowned Peranakan dish in Malaysia, Laksa is rice noodle dish served in a hot steaming bowl of spicy broth. Laksa is usually prepared with coconut milk as a base, giving the dish a richer and sweeter flavour. The dish is usually topped off thin slices of hard boiled eggs and succulent prawns. Now there are many variations of this phenomenal dish such as Curry Laksa, Asam Laksa, Thai Laksa and Sarawak Laksa, all of which are equally as delicious. We put milk in our coffee and tea, we pour milk into a bowl of cereal and voila breakfast is served. So now there’s a new way to have milk, fried? As unusual as it sounds, people have rallied behind this milky dessert. 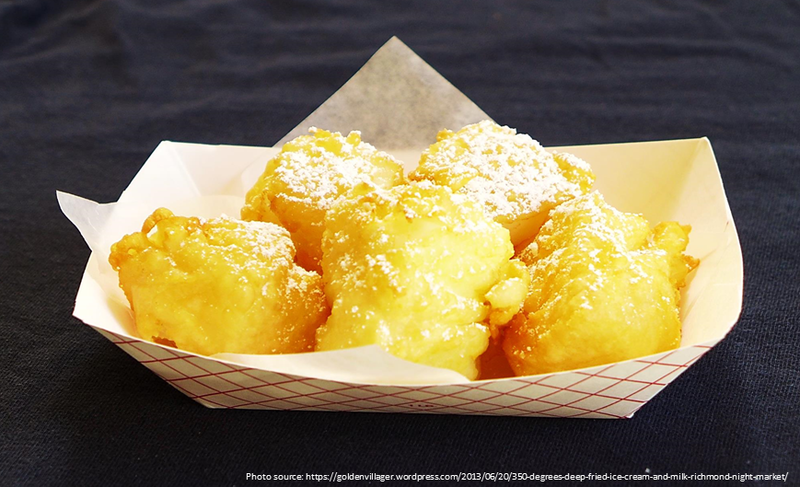 Fried milk can be found in abundance throughout the night markets in Taiwan and it is certainly a must-try; crispy on the outside soft and creamy on the inside truly a dish that will tantalize your taste buds. This Indonesian salad made up of raw and cooked vegetables, fried tofu and hard-boiled eggs laced with a rich hot peanut sauce dressing. 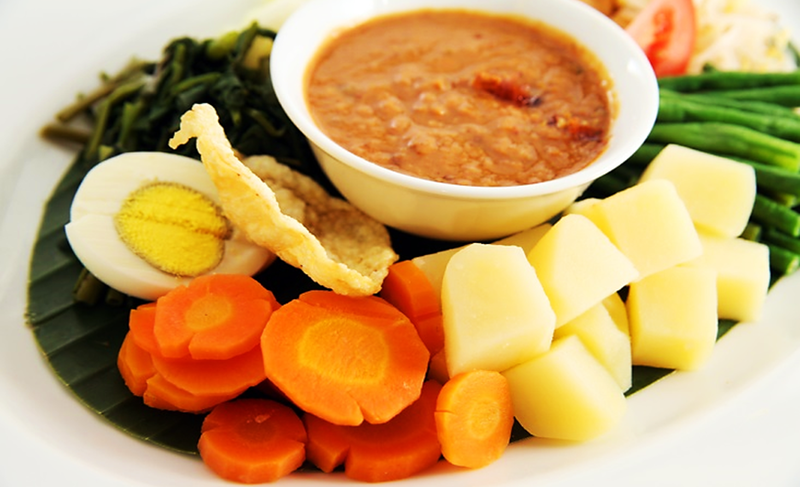 Sweet, spicy and savoury this typical Indonesian street food is usually served with a side of chopped lontong (glutinous rice cake). Healthy and tasty this is the epitome of comfort food in the country. A traditional Chinese dish, Hot Pot is about getting the family together and enjoying a hot hardy meal. 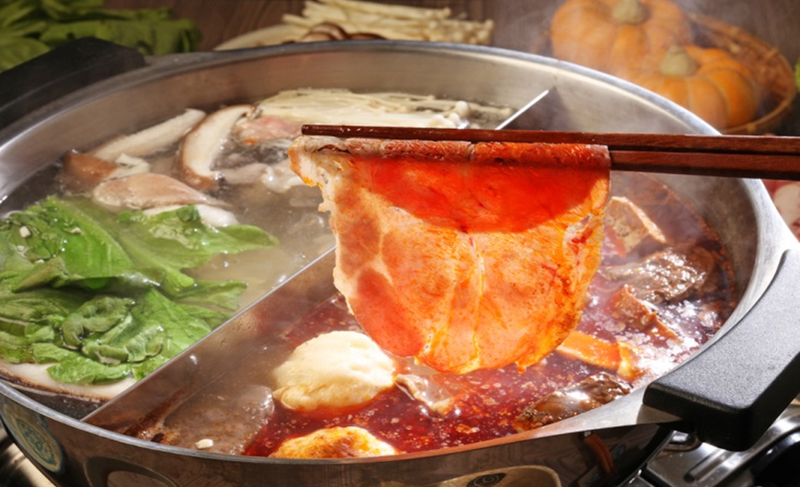 Rampantly popular in China, Hot Pot is served in a shimming pot filled with a variety of broths; the pot is placed in the middle of a round table and is surrounded by ingredients which will later be placed into the pot and cooked on the table. 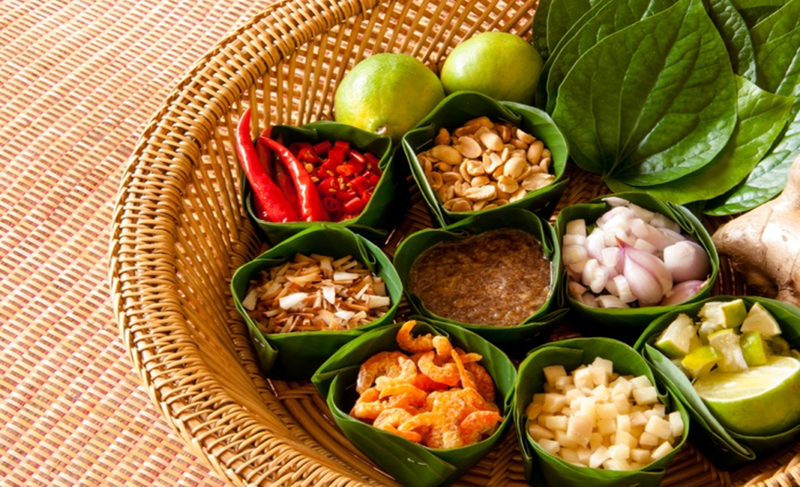 Usually served as a snack or an appetiser, Miang Kham when translated means ‘eating many things in one bite’. The dish consist of fresh raw Piper Sarmentosum leaves which are used to wrap various ingredients such as shallots, ginger, garlic, lime dried shrimp, cashew nuts and sour green mango. Did we miss out any Southeast Asian dishes? 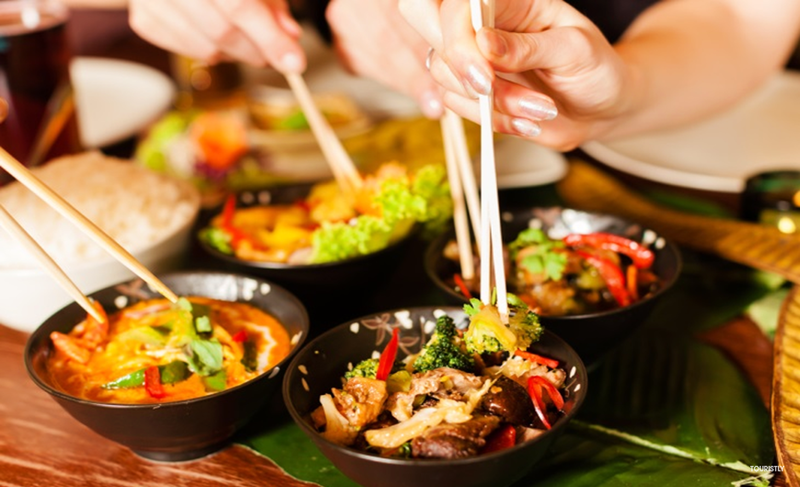 Comment below and share your picks for best eats in Southeast Asia with us!